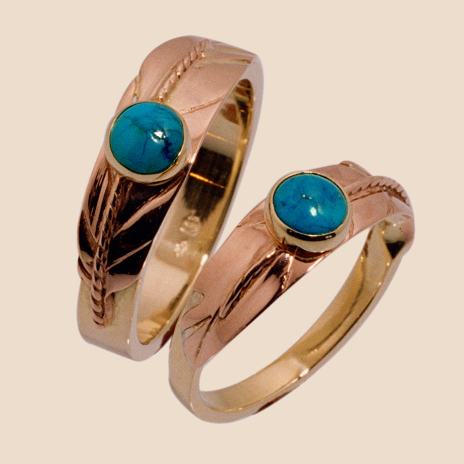 See our Art Blog to read about the symbolism of these rings. PLEASE NOTE: The cost of gold, silver, and platinum is fluctuating weekly. Although prices on this website are being updated on a regular base, they are merely indicative. Contact us for a customized price quotation if you find a set of wedding rings or a piece of jewelry you are interested in ordering. Please do not forget to mention the item number and the exact ring sizes in case you ask for a price quotation for wedding rings.